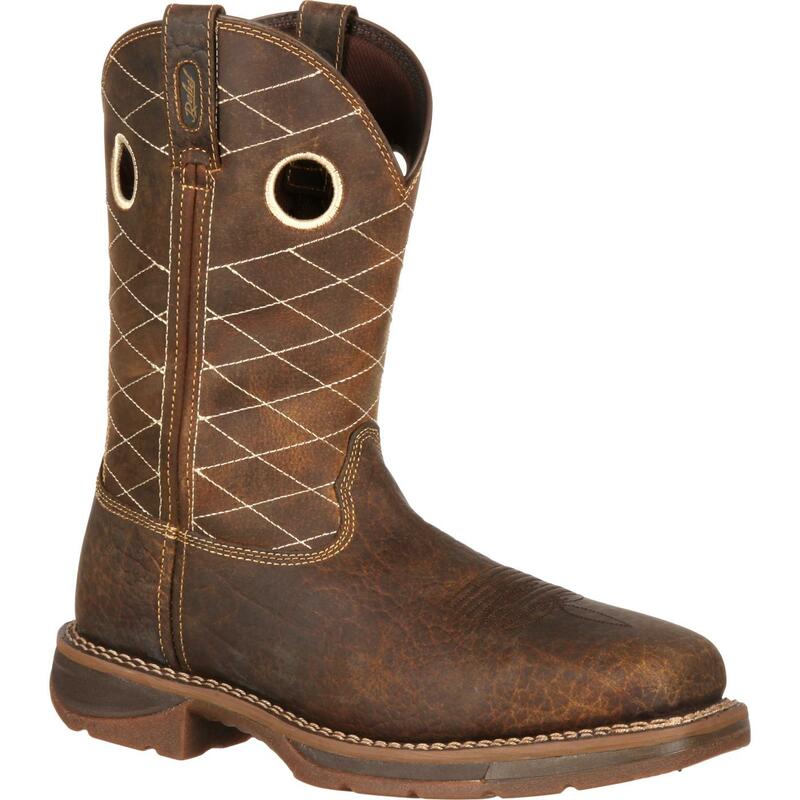 The upper of this Workin' Rebel by Durango boot is made from full-grain leather; its chocolate and nicotine hue makes the exterior look rugged. 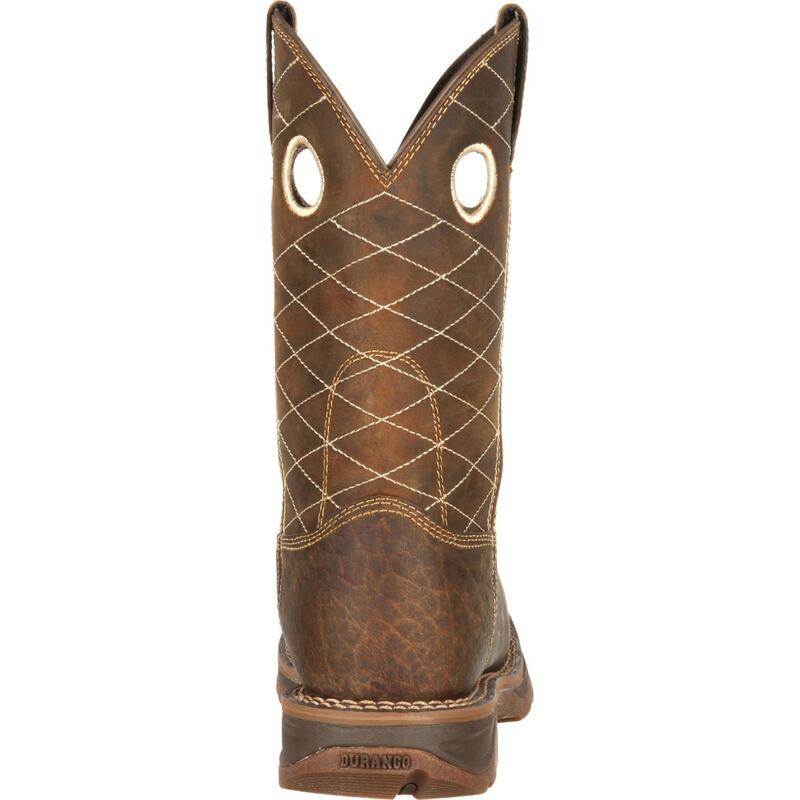 The tall shaft is great at preventing dirt and debris from getting down into this square-toe boot, but because of the finger holes and pull tabs these Western boots will not be difficult to get on/off. While the Goodyear® welt construction builds up this work boot's strength and durability, the composite toe delivers a generous amount of protection. 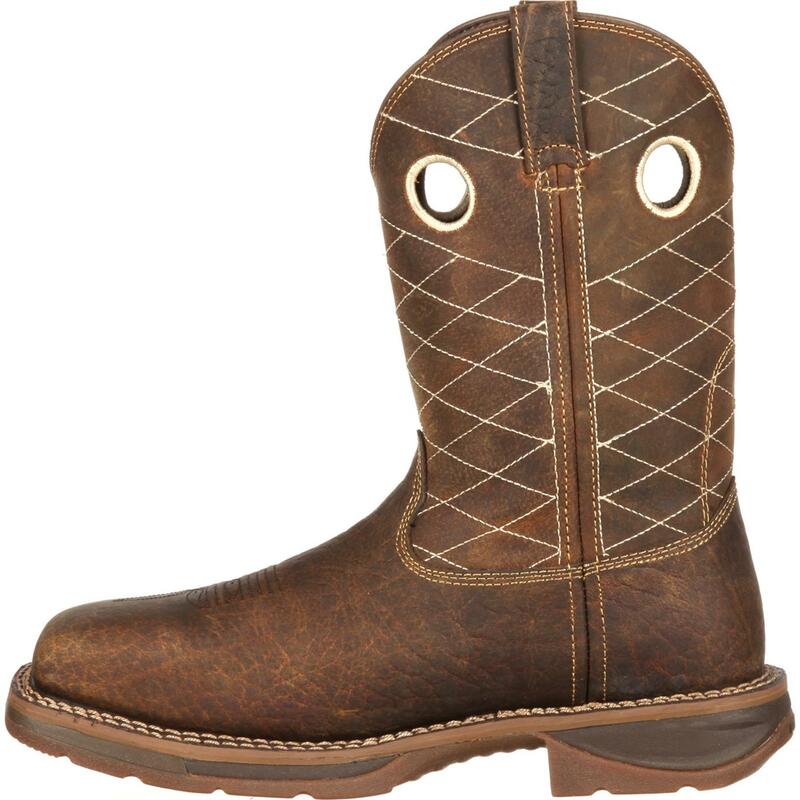 You can be confident that this safety toe is able to endure up to 75 lbs. 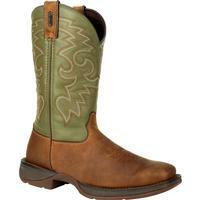 of impact and compression, because it has met the ASTM F2413-05 I/75 C/75 Protective Toe Classification. It has also met the Electrical Hazard Standard, which offers you even more protection. 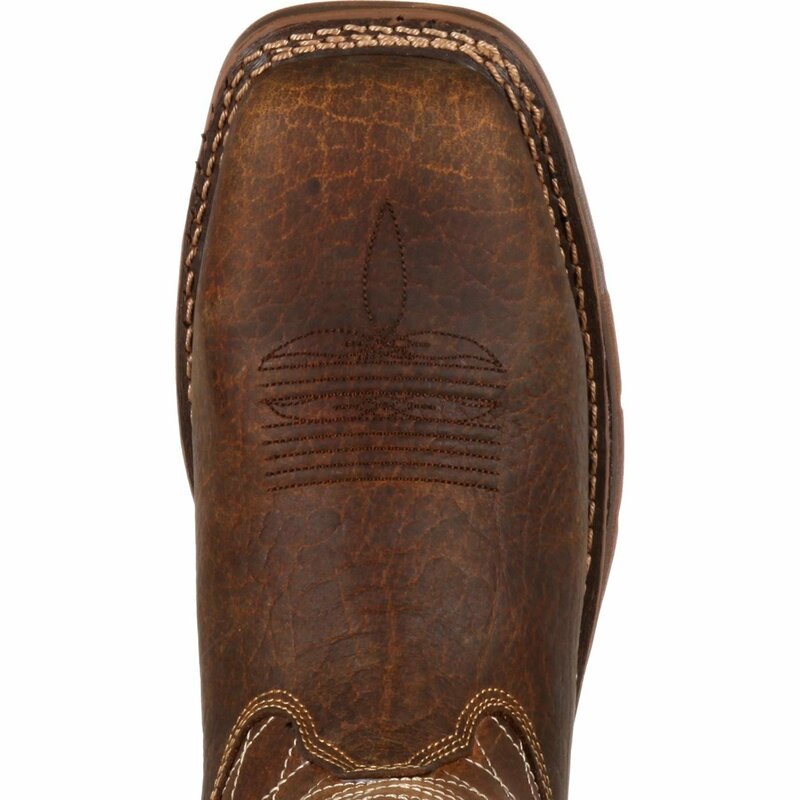 Within the interior, there is a cushioned footbed; this feature will keep your feet comfortable and make it easier to be on your feet all-day long. 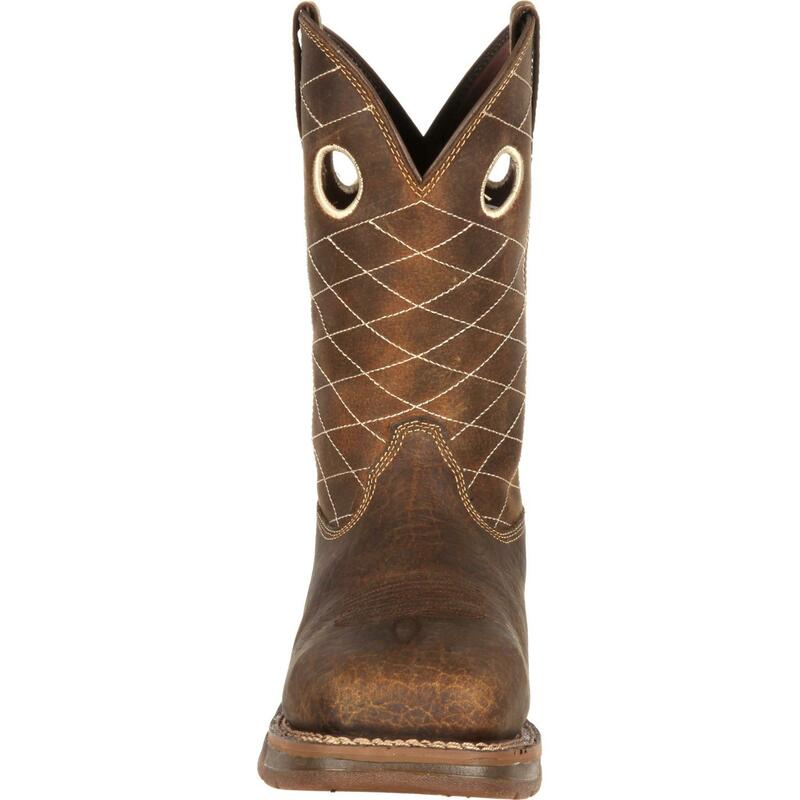 Keep in mind, the insole is removable, so you can always add in more cushioning as this one begins to wear down. When you have your feet down in this work footwear, you will have steady footing and your arches will receive support because of the boot's tempered steel shank. 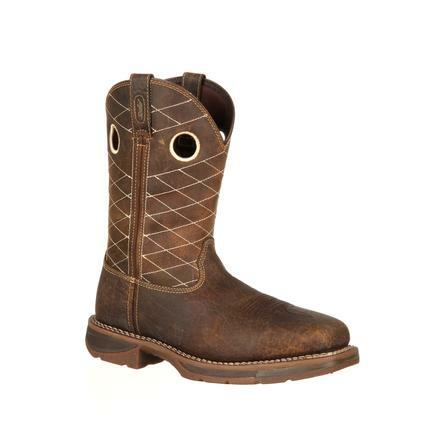 The Workin' Rebel outsole is oil resistant -a great feature to help you keep your sense of balance- and will not leave scuff marks on the floor because it's non marking. 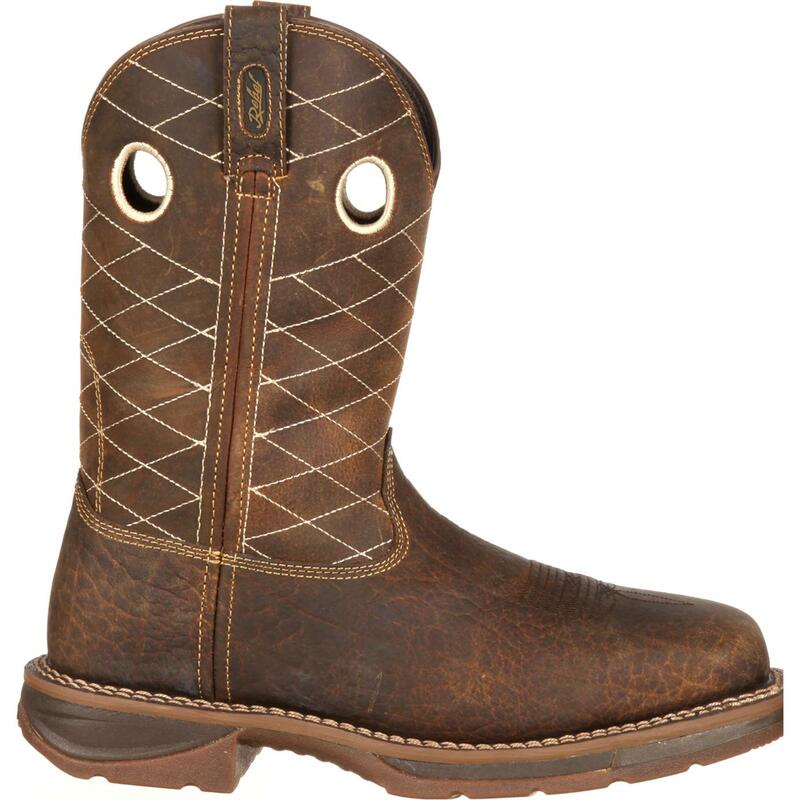 It has aesthetically pleasing features and the comfort of a traditional western boot, but this 11" Workin' Rebel by Durango (#DB4354) is a terrific choice if you are looking for a pair of pull-on boots that will keep your feet safe on the job.